Viknesh Vijayenthiran January 12, 2016 Comment Now! Following the successful launch of its XC90, which this week was named 2016 North American Truck/Utility of the Year, Volvo’s next major product offensive comes in the form of the 2017 S90 sedan, on show this week at the 2016 Detroit Auto Show. Capturing the beauty of the original P1800-inspired concept coupe of 2013 and combining it with the more practical body of a sedan, the S90 certainly has the looks necessary to be competitive in the mid-size luxury sedan segment. Its powertrains are impressive as well. For the United States, there will be three engine choices available: a turbocharged 2.0-liter four-cylinder in a T5; a supercharged and turbocharged 2.0-liter four-cylinder in a T6; and a supercharged and turbocharged 2.0-liter four working with an electric drive system in a range-topping T8 Twin Engine. These powertrains are shared with the XC90 but the range-topping S90 T8 Twin Engine has been confirmed with 410 horsepower, which is up 10 horses on the XC90 T8 Twin Engine. 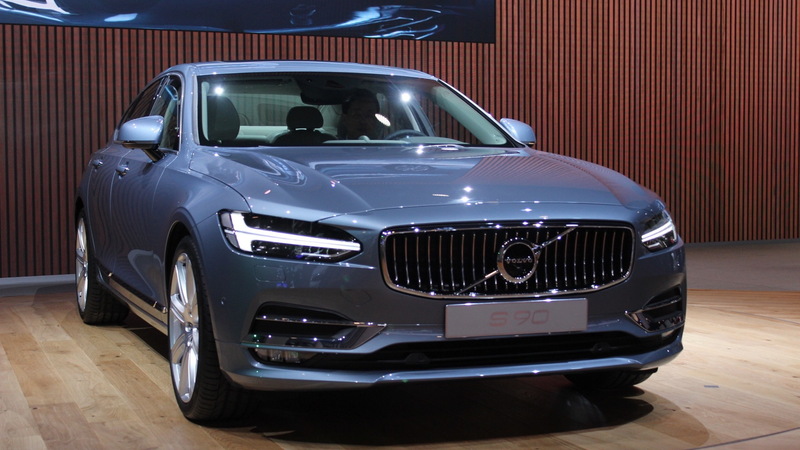 Meanwhile, the S90 T5 and S90 T6 are estimated to deliver 240 hp and 302 hp, respectively. 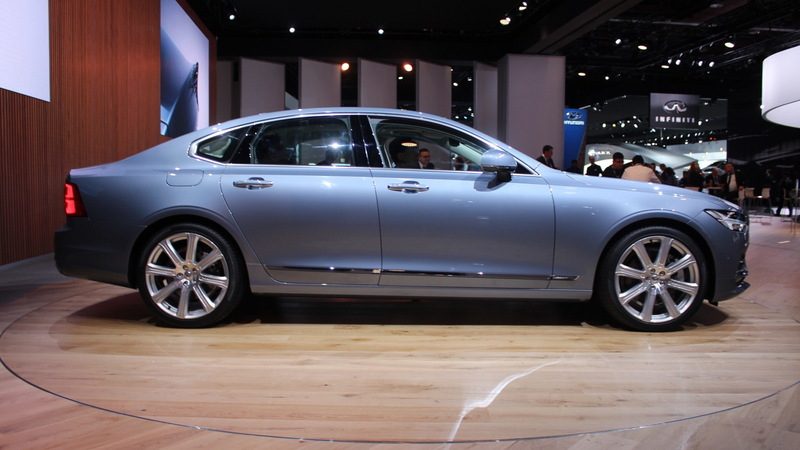 All S90s will come standard with an eight-speed automatic transmission. Because of its gas engine/electric motor combo, ‘through-the-road’ hybrid all-wheel drive will be standard on the S90 T8 Twin Engine. Lesser S90 variants will come with front-wheel drive standard with the option of a mechanical all-wheel-drive system. Peering inside, it’s clear the designers have taken cues from the success of the XC90 but have also taken the luxury to a higher level. You’ll find real wood and metal detailing plus a digital instrument cluster and Bowers & Wilkins audio. Note, the model pictured features the range-topping Inscription trim, so not all of these will be standard. What will be standard, though, is a semi-autonomous system known as Pilot Assist. The original version of Pilot Assist made its debut on the 2016 XC90 and allows the vehicle to accelerate, decelerate, come to a complete stop and steer in road conditions with clear lane markings based on the car in front up to speeds of 30 mph. 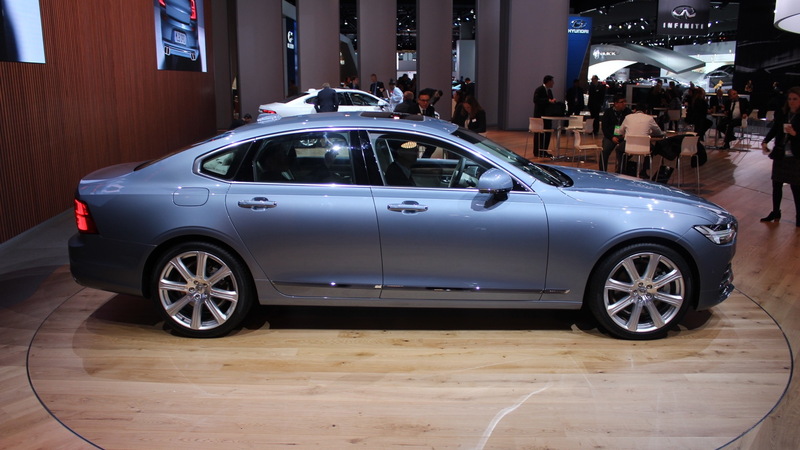 The version in the S90 offers the same functionality but can operate at speeds of up to 80 mph, meaning highway driving. It also no longer requires a car in front to track. Also with the S90, Volvo is also expanding its City Safety object detection system to now include a large animal detection function. When an object is detected in the road ahead, the system provides warning and brake support to help avoid a collision. 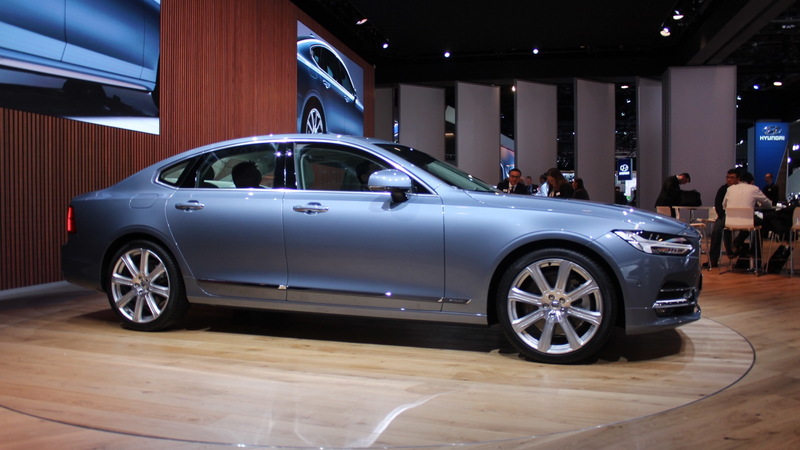 Key rivals for the S90 include the Acura RLX, Lexus ES, new Lincoln Continental and the mid-size sedans from the three major German luxury brands. 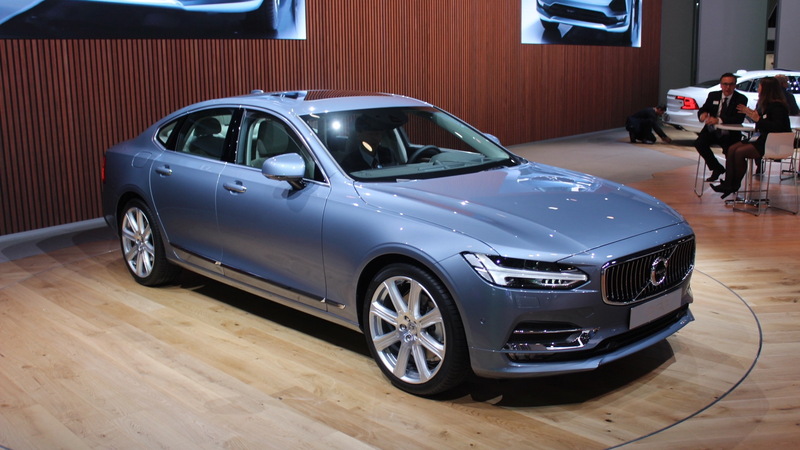 Sales of the S90 start later this year. Note, Volvo will soon reveal a wagon variant reviving the V90 nameplate. This model hasn't been confirmed for the U.S. but we should know more soon as it's expected to debut in March at the 2016 Geneva Motor Show.